In Life After Life Raymond Moody investigates case studies of people who experienced “clinical death” and were subsequently revived. The extraordinary stories presented here provide evidence that there is life after physical death, as Moody recounts the testimonies of those who have been to the “other side” and back — all bearing striking similarities of an overwelming positive nature. For more information about this movie, visit the Life After Life website. 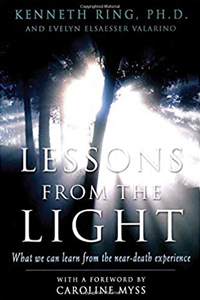 For more information about near-death experiences (and related phenomena), go here. What a really inspiring and up-lifting film.